color transparent, red, green, blue, grey yellow, orange etc. features anti-static, non-toxic, soft, light weight etc. PVC Anti-static Steel Wire Reinforced Delivery and Discharge Hose for Fuel and Petroleum, which is also called Anti-static Hose, Steel Wire Hose, Petroleum Delivery Hose, Fuel Discharge Hose, Petroleum Discharge Hose etc. which is specially designed for applications where easily generating static, such as buildings, factories, mine and oil storage. The PVC Anti-static Steel Wire Reinforced Hose is specially used for suction or transfer of oils, fuels, gas, powder in factory or plants where easily generating static, such as mining industry, constructions, buildings, oil storages and other applications. 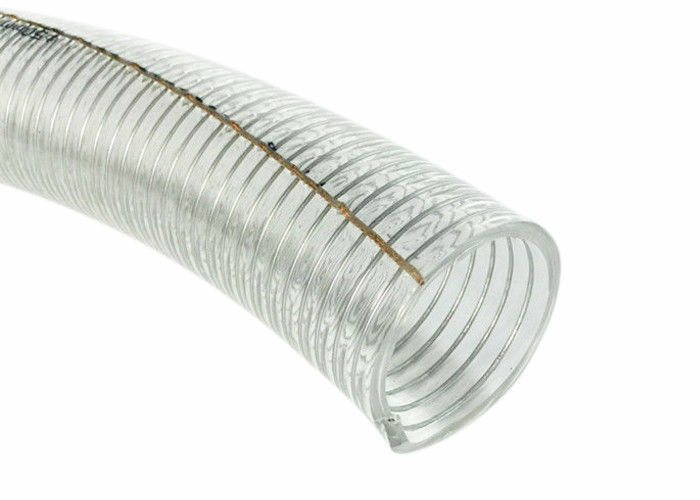 The PVC Anti-static Steel Wire Reinforced Hose is constructed with high quality PVC materials, high strength steel wire is spirally inserted in the tube, copper wire is horizontally inserted in the tube, smooth inner and outer, crystal clear wall. 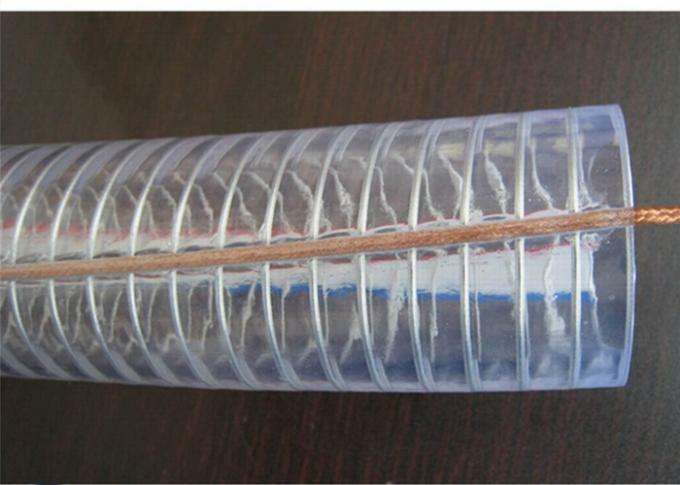 The PVC Anti-static Steel Wire Reinforced Hose is special anti-static, transparent with good flexibility, small bending radius, UV and weather resistant, high-negative pressure resistant, high corrosion resistant, non-toxic and long service life, copper wire inserted in the tube to prevent flowing blocked and protect users from electric shock or impingement.